Resources on autism, disability, and child sexual abuse and exploitation – trauma. stress. autism. Content Warning: To help me back-up my points with other sources, I am citing sources that medicalize and pathologize autism and posttraumatic stress injuries. Specific content warning that, as the title expresses, this post will talk about autism, disability, and sexual abuse and exploitation. Please read with caution and take good care of yourselves. I need to make this information centralized and accessible. It is important for all of us to be aware of the added risks to autistic children when it comes to sexual abuse and exploitation. I am an autistic survivor of sexual violence. I am one of many. While I was not diagnosed with autism until later in adulthood, I have always been autistic. And from the vantage point of my 40 years of age, I can see how several of my autistic traits increased my vulnerability to sexual violence, repeat victimization, and non-reporting. Furthermore, I am also far too keenly aware of the risks to autistic children because my middle school principal, with whom I spent many hours alone in his office, was later imprisoned for sexually abusing several male students with intellectual and developmental disabilities. Finding out about his crimes was beyond shocking for me and made a lasting impact on my worldview. 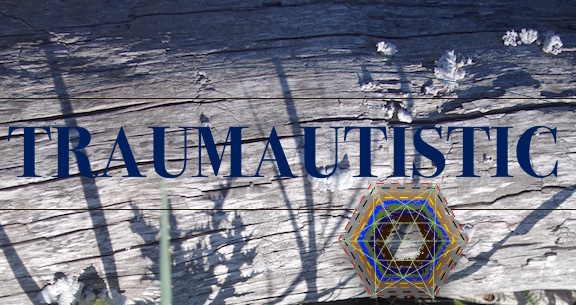 It is so important to me as an autistic trauma survivor and as a parent to autistic children to increase and spread awareness about autistic individual’s increased vulnerability to abuse and exploitation. We can better protect autistic children if we know more about how to protect them and how we and the systems around us are contributing to their increased child abuse and exploitation (CSAE) risks. I also feel it is important to spread this information generally to parents and anyone else who comes into contact with children. May we all know better and do better to protect children from these crimes. Here is the link discussing ways to protect very young children, infants and toddlers, from child sexual abuse and exploitation (CSAE). It is never too early to start thinking about prevention, education, and raising self-advocates. Caveat–the discussion of gender is not trans-inclusive but should be. Here is a link discussing ways to protect grade school children from CSAE. I would especially like to draw attention to the risks involved with using “bribes” as part of your parenting, therapy, teaching, or childcare. So many autism interventions use rewards, withholding, and outright bribes. There is a real danger here of putting autistic children more at risk for CSAE. A post on the number one way to minimize risk of CSAE: minimizing opportunity. This has added layers when you take into consideration respite care, school aides, therapists, and all the various people autistic children are often in contact with in addition to those who would typically be part of a non-autistic child’s life. Looking for a short list of safety rules to share with your loved ones? Here you go. A deeper look at CSAE and disabled children. A specific look at autistic childrens’ vulnerabilities to CSAE. This paper is very important, so I want to include its abstract. Two main arguments are made with regard to children with autism and risk for sexual abuse. First, some children with autism may be targeted for abuse by sexual offenders who may view them as vulnerable children. Second, when children with autism are sexually abused, they may show this in ways that get ignored or misattributed to autism rather than to possible sexual abuse. Because of these two issues, there need to be reliable methods established for determining whether or not a child on the autism spectrum has been sexually abused, and these protocols need to be informed by the challenges encountered by individuals with autism, voiced by those along the spectrum as well as by researchers in the autism field. A concise, pointed article about CSAE risk and why children should never be forced, coerced, bribed, manipulated, or otherwise pressured into being affectionate. Again, this has extra significance for autistic children given that they often have even less agency over their bodies than non-autistic children. Excellent discussion about the importance of “no,” consent, and autonomy for autistic children, which includes the risks created by compliance training. If you are a parent to an autistic child and looking for great writing online, this blog is filled with amazing posts. Check out some of their other posts. If you would take the time to go here, you can find a deeply informative video from United Nations Live. This is a moderated panel giving testimony about “Violence, Sexual Exploitation, and Abuse” on World Autism Day 2018. Please also consider watching this insightful video by autistic activist, Amethyst Schaber, the creator of the Ask an Autistic video episodes and a blog named Neurowonderful. It addresses the discrete issue of how compliance training increases risk of abuse for autistic people, an issue I plan to be writing about more over time. In the video below, you can find additional resource links in the video description. I will continue to add resources to this page if I find them.